On the 1st March autumn officially began in Perth, and after the long hot summer, the cooler days have been awaited anxiously. Yet, here we are in the middle of March and no sign of autumn, because just by decreeing an arbitrary day autumn does not make it so. My Facebook feed is full of people exclaiming over the minuscule amount of rain we had last week, wishing away the hotter days of summer, or talking with excitement about cooler weather and warmer food. And yet for all we try, and talk and speculate, autumn will come when it is good and ready and not a day before (and not tomorrow either by the looks, with the expected maximum of 31)! And it has me thinking about the seasons in life, too. It is my experience that life has it own seasons, those springtime seasons of rebirth and revival, new life and new love. The lazy, laid back and contented days of summer seasons, when all is right with the world. The autumn days of harvest and storage and preparation, and those hard days of long winters when everything is dry and barren and you wonder if life will ever return. And, like the seasons in nature, the seasons of life can sometimes transition slowly. You can sometimes see them coming and prepare. And sometimes they change overnight, and all of a sudden you are in the midst of a gruelling time, snowed under with troubles and struggling to see the sun. This year, I am trying to be more intentional about how I transition with the different seasons in my life. In Perth when the winter weather hits, we don’t persist in wearing sundresses and having barbecues, and romantic strolls along the beach. We dress appropriately for the rain and wind, we cook hearty nourishing warming meals, and we drink hot chocolate with our friends. So maybe I should do the same in the different seasons of life. Maybe when there is winter in my life, I should bunker down, gather around me my close friends and use that time to warm my heart and soul with nourishing things. Maybe when spring comes, I need to venture out slowly, planting seeds, tending them and gently supporting them as they grow. Maybe in the summer I need to savour and enjoy the good times, not worrying about what’s ahead or just around the corner, and in the autumn maybe I need to be harvesting and stockpiling for the winter that will inevitably come. 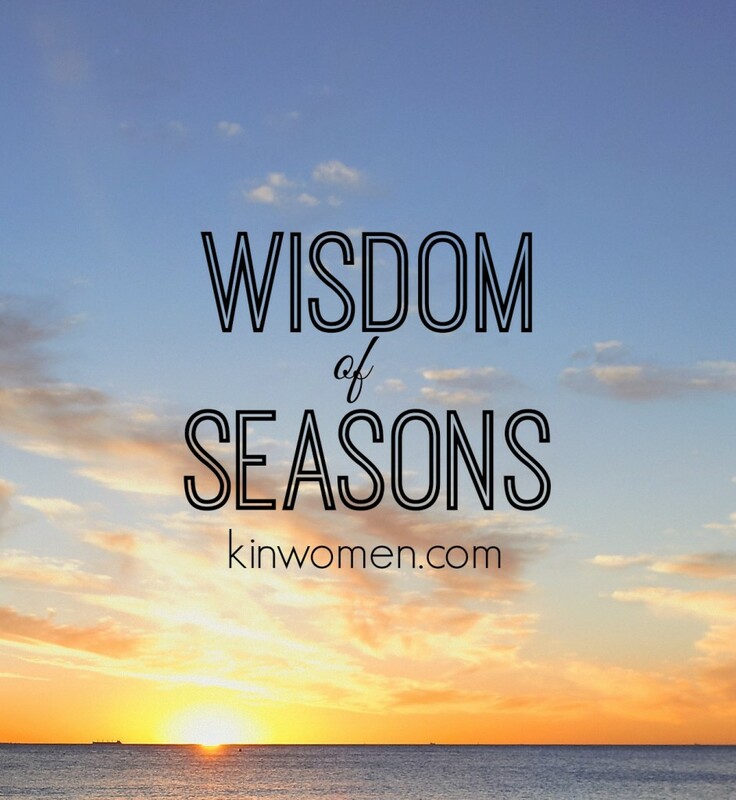 Because let’s be honest, we all have seasons in life, times of hardship and pain, times of joy and delight, times of growth and times of harvest, and eventually the seasons change. Whether we want them too or not. Tears. Beautiful Jodie. Going through winter, a long cold winter, & still no sign of spring. Thanks for reminding me what to do. Love your blog. Keep doing what you’re doing.